CAN STEM CELL THERAPY RESTORE VISION IN PERSON HAVING LEBER’S HEREDITARY OPTIC NEUROPATHY? Our eyes are one of the most valuable sense organs that enable us to see this beautiful and colourful world. Many of us face eye problem at a time or other like itching, blurring or fatigue. Some of the eye problems are minor and goes away easily; however some are serious eye diseases and one of them is Leber’s Hereditary Optic Neuropathy (LHON). 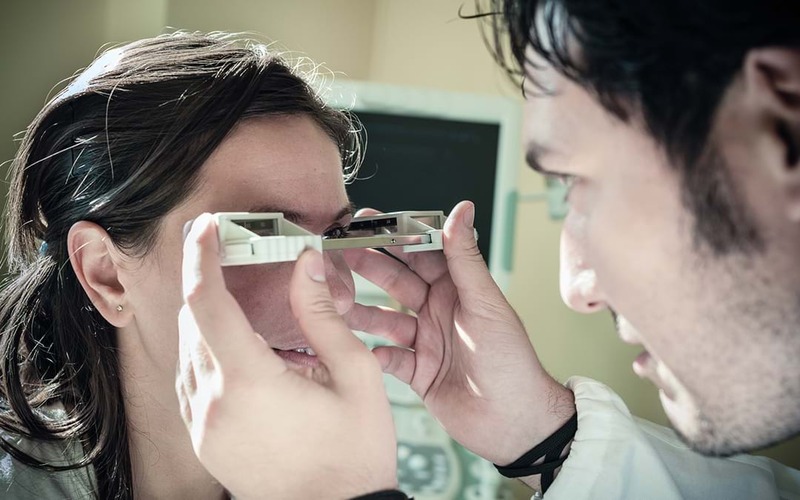 It is the most common inherited genetic disorder that leads to vision loss and mainly affects young males typically between 12 and 30 years of age. Leber’s hereditary optic neuropathy is an inherited optic neuropathy caused due to mutations in the mitochondrial DNA.These mutations cause abnormalities in the structure of proteins affecting cellular respiration. The impaired cellular respiration impedes the function of nerve cells present in retina, leading to loss of vision. The person diagnosed with LHON may initially be asymptomatic or just have mild blurring of central visual field. The central vision is especially required for tasks such as reading, driving and recognizing faces. It typically begins with one eye, with sequential involvement of the fellow eye later. The visual acuities of LHON patients are typically 20/200 or worse. In addition to vision loss, the symptoms of LHON person may include movement disorders, tremors, and impaired electrical signals that control the heartbeat (cardiac conduction defects). Some affected individuals can also have features similar to multiple sclerosis, characterized by muscle weakness, poor coordination and numbness. There is no established treatment available for LHON. In few cases, the central vision gradually gets improved; however in most of the cases the vision loss is profound and permanent. Treatment options are few that include mitochondrial cocktails, ubiquinone analogues, steroids, immunosupressants with limited benefit. Medications having antioxidants have also shown some positive results in reducing the neurotoxic stress occurred due to reactive oxygen species. Patients are advised to avoid neurotoxins such as tobacco and alcohol because of their tendency to increase oxidative stress. Vision aids ( such as magnifiers, large-print devices) may also be helpful. Novel approaches such as stem cell therapy are being explored for management of LHON. Stem cells being smart cells of body have ability to regenerate nerve cells in the optic region, allowing eye patients to recover some vision. The stem cell therapy procedure for eye disease include collection of tissue from patient, isolation of stem cells and injecting back stem cells to patients at retrobulbar site. Once the stem cells are administered to the retrobulbar space they begin to home at damaged tissue signals and start repairing damaged nerves. These stem cells also release various neurotrophic factors responsible for neuronal survival resulting in structural and functional improvement in visual functions. Recently a clinical study involving large number of patients was published by the Stem Cell Ophthalmology Treatment Study (SCOTS) that evaluated efficacy of autologous bone marrow-derived stem cells (BMSCs) to treat optic nerve diseases. After stem cell therapy, no serious complications were observed. Patients with Leber’s hereditary optic neuropathy had visual acuity gains up to 35 letters and Snellen acuity improvements from hand motion to 20/200 and from counting fingers to 20/100. Visual field improvements were noted. Macular and optic nerve head nerve fiber layer were also typically thickened. The results obtained in these clinical studies are encouraging and suggest that stem cell therapy can be beneficial for ophthalmologic mitochondrial diseases including Leber’s hereditary optic neuropathy. With more critical research studies, stem cell technology definitely in near future will bring beautiful colours to the lives of people suffering from visual disorders. I am Mahesh from India, I had been operated with an retinal deattachment operation on my both eyes, and I had lost 90 % of my vision in my left eye and and just recently I had a been operated on right eye for same. I had less blood circulation in left eye so because of it my left is getting smaller . Can this help out with my problem and can it restore my vision in my both eyes . All doctors says that retina can’t be cure once damage , but I believe on my God, some day it would . So please reply me , so I can take a step forward. We request to you please update us your latest medical Report. we will get back to you with the full treatment protocol and cost. We would further request you to get in touch with us on care@advancells.com or WhatsApp/Call Us: at +91-9654321400.